For those of us living in Nashville, the kale salad at Tavern has become an infamous favorite. Kale is not something I typically enjoy eating, but have wanted to learn to like it since it is the most nutrient dense food one can consume. Enjoying this salad however, is effortless. It is easy to make, super duper healthy, and cost effective – which is awesome because I’m a beauty queen on a budget. Speaking of – you can use the different parts of the kale required for this salad for 3 different recipes. Who says eating organic and healthy has to drain your bank account? Next, chop the kale into tiny, and I do mean tiny pieces. Almost minced – think the size of tabouli. I think the super choppedness (yes, I just made that word up) is one reason I like this salad so much, the texture of kale leaves can be kind of tough and the size in which you’ll be chopping the leaves makes the salad easier to eat and I actually think it changes the flavor of the kale (in a good way). Add the kale to a bowl and squeeze the entire lemon over the leaves. Chop up about 8 dates and add that in addition to a reasonable amount of Parmesan. Drizzle a moderate amount of olive oil over the top and add sea salt to taste. Mix all ingredients and enjoy, adding more lemon, olive oil, or salt if needed. It doesn’t look like much, but it is truly delish. This recipe is packed with nutrients and is super cleansing and detoxifying, especially to the liver, which is the organ that metabolizes fats, detoxifies your blood, etc. aka take care of that thing people! After juicing – save the pulp and use it to make these delicious vegan and gluten free muffins: *note: I do NOT under any circumstances use agave – I substitute several packets of stevia and I like using a combination of almond meal, ground flax seeds, and unsweetened coconut for the flour allotment. Also note that if you use the kale juice pulp that your muffins will be green… get over it, they still taste good and have tons of fiber and other healthy stuff! I brought all 3 of these treats with me on set today at CMT for the taping of “My Big Redneck Vacation Aftershow” and Tom Arnold and the entire cast were extremely grossed out. One thing I’ve noticed since I’ve started eating so many green food items is that most people will be disgusted when they see you eating/drinking something green and ask “what IS that?” I did convince a couple of cast members to taste the juice and the salad, and the salad especially got great reviews. Ain’t nobody that doesn’t like this salad, I’m TELLIN’ ya! (That’s my inner redneck coming out) Here’s a photo of us all on set today! Loved paling around with all of these sweet and outrageous people! Look for me as the social media correspondent on the show! Hope everyone enjoys these healthy – but still tasty kale recipes! Let me know how yours turn out! This entry was posted in Food, Health and Beauty and tagged CMT, kale, kale juice, kale muffins, kale salad, My Big Redneck Vacation on March 29, 2013 by Brenna. As a pasty white girl, I have been known to take drastic measures to alter the color of my skin including laying in tanning beds, slathering on drugstore self tanner (whoaaaa streaks), and way overusing the warmify tool in Picasa. Each and every summer, I proclaim to my friends who turn brown from 2 hours at the pool that “THIS is the year I’m gonna get a tan!” I’ve been proclaiming this for about 4 years now and it’s become somewhat of a predictable joke. As crazy as it sounds, this is a pretty accurate depiction of what the Norvell spray tan does to me! I look like a completely different person when I have one… in a good way. I just don’t have that whole Nicole Kidman porcelain thing going on. Having Norwegian heritage, I have finally given up on ever getting a tan in the sun. (Thank goodness, skin cancer and wrinkles are for the birds) However, this has caused me to try every sunless tanner known to man. In my opinion, the best solution is Norvell. It is actually derived from all natural ingredients, which we know I’m into and it doesn’t have the same nasty smell that most sunless tanners do. The color is a gorgeous natural color and it lasts longer than most – about 7-10 days depending on how you care for it. You’ll have to find a salon that does airbrush tans with this formula, but for my Nashville friends, Julie Stauss at Co Capelli Salon and Spa does the best spray tan in town, 100% worth the drive to Hermitage. The day after getting a spray tan – super duper natural, right? Pictured with Catherine Shelton from Lawrenceburg, Tennessee, the coordinator of the “Team Green” spring fashion show I emceed last weekend. …and while I’m at it, why not post this sweet picture from the same event with Miss Tennessee Teen USA, Emily Suttle? Is she not the prettiest thing you’ve ever seen?! Love her! Photo by Rick’s Photography. This entry was posted in Health and Beauty on March 28, 2013 by Brenna. I always love reading that article in US Weekly where a different celebrity lists 25 surprising things about themselves – although most of the surprising things they say are pretty stupid. Wow, that Glee actress has 5 cousins? Cool… I guess. I am attempting to make mine actually interesting, and therefore I will be limiting to 5 things. I think there are a lot of stereotypes surrounding not only beauty queens, but women in general, so I thought it might be fun to share some surprising things about me! Hard hat, safety vest, steel toe boots, coveralls, safety glasses, hearing protection, respirators, etc. Not cute. That’s me on the left, posing with my best friend Kara in the middle, and another great friend Abie on the right. Because of this experience, I now know how to drive a Bobcat skid-steer loader and am not afraid to talk to men with ZZ Top beards! Working the 10-12 hour shifts which started at 6 am was rough, but it was totally worth it because a.) I always get at least an initial job interview when I apply for anything. People are baffled by the fact that I have working at a coal mine and being Miss Wyoming Teen USA or Miss Tennessee USA on my resume and I think they are just curious to see if maybe I was lying and b.) my boyfriend says that he fell for me when he found this out, in his words, “Being a beauty queen and working in a coal mine?! I couldn’t put you in a box and that intrigued me.” Totally worth that long summer with coal constantly under my fingernails. Standing inside the bucket of a giant piece of machinery… couldn’t resist a cheesy pose apparently. Pictured with Abie and Anna – two of the people who made this summer job way more tolerable! 2.) I almost died while my mom was giving birth from having the umbilical cord wrapped around my neck… Ironically I ended up dating a young man in high school who was the son of the doctor who delivered me and I once joked to him, “your dad’s seen me naked!” (babies are born with no clothes on, duh) to which he was mortified and broke up with me shortly after. Thank goodness this chubby little face made it through! 3.) I have appeared in over 10 ambulance chasing lawyer commercials, as well as a commercial where I had to act as someone who has an excessive sweating condition – I guess embarrassing commercials might just be my niche market! I go on a fair amount of auditions, but let me tell you something, if I go on one for a product that could be construed as cheesy or embarrassing I WILL BOOK IT! I’m not sure if I should be proud of myself or not… Here is an example for your viewing enjoyment! 5.) I once jumped into ice cold glacier water in New Zealand. The deckhand below dared me to jump in… and let’s just say I don’t turn down a lot of dares, even if that means I have to wear really ugly man board shorts whilst doing so because I didn’t pack my bikini for the frigid conditions. This entry was posted in Hipster/Beauty Queen Ramblings and tagged coal mine, excessive sweat, new zealand, rodeo on March 27, 2013 by Brenna. 1. Chipotle – Some busy weeks, I eat this fresh goodness several times (and by eat, I mean scarf because it’s just so good that sometimes I can’t act like a lady)! 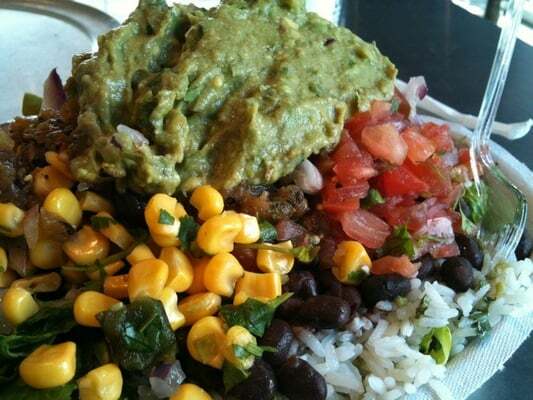 Chipotle is one fast food place that tries to source a lot of their ingredients locally and organically, which I love! I almost always get the vegetarian salad which is basically comprised of lettuce, black beans, and tons of salsa and guacamole. You don’t even need the dressing with all of these great condiments. This is a meal that is both vegan and gluten free, in addition to being super filling. My favorite part? It tastes like it’s bad for you since my brain associates salsa and guacamole with chips, enchiladas, queso, etc. You can also add brown rice to your salad, or get a couple of tacos in corn tortillas (keep it gluten free kids). There is literally never a time where this doesn’t sound good to me. 2. Greek/Middle Eastern Food – Recently I drove to Dothan, Alabama for a photo shoot and thought to myself, “what in the world am I going to get that’s healthy in Dothan? !” Thank goodness I decided to google “Greek food Dothan” and low and behold several great places popped up. Not only is this type of cuisine probably my favorite, but it’s fresh and healthy. I always love a good Greek salad with olives, peppers, and some sort of delicious and light homemade dressing, but that’s not all you can get! Tabouli, grape leaves, hummus, fresh vegetable or lentil soup are always great options… and ok, some felafel every once in a while too. All of my favorite places end up being family owned where they will usually serve you up some good friendly conversation with your meal in addition to being able to talk to you about specific ingredients and how everything is made. Kalamatas is my local Nashville favorite – they have 3 locations: Belmont, Green Hills, and Brentwood, check them out if you haven’t already! 3. Thai Food – There seems to be a Thai place in every neighborhood – did you know that these restaurants have several great options for health nuts? 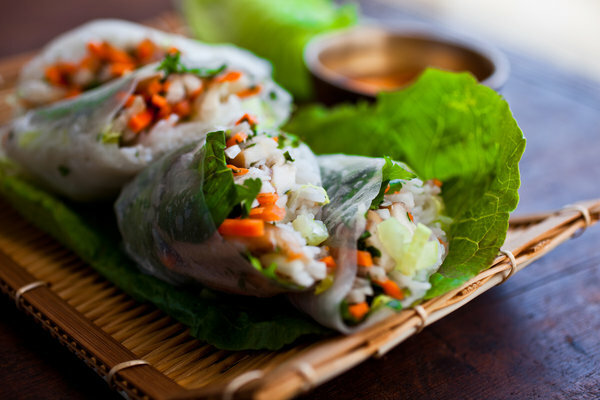 My favorites for a light lunch are fresh spring rolls (rice paper filled with all kinds of flavorful herbs – think mint, cilantro, and basil, sprouts, carrots, etc.) and Tom Kha soup which is made from coconut milk, lemongrass, lime, and numerous other flavor exploding ingredients. The spring rolls are vegan and gluten free and depending on how the specific recipe for the Tom Kha is, that can be as well. I hope this gives you some fresh ideas for healthy food on the go! What have you found that’s healthy and easily accessible? This entry was posted in Health and Beauty on March 26, 2013 by Brenna. I recently read that people are happiest on Fridays and the least happy on Mondays. Upon hearing this, I let out an “aaaaaaa-men!” This Monday, I have so many things to do that I feel somewhat paralyzed, which is a common for people with a lot to do, but not helpful when you have deadlines, haven’t started on your taxes, etc. Throughout the past several months I’ve felt this way pretty often, and while I haven’t totally overcome it, I have figured out some stress coping mechanisms that really work! Yes please! It looks like she’s jogging straight into a Thomas Kinkade painting! Make a List – For some reason, when I have all of the tasks at hand in front of me, I feel more calm and in control. With everything written down in front of me, I can let go of the worry that I’m going to forget about one of them! This also helps me to focus on doing one thing at a time rather than jumping from task to task. 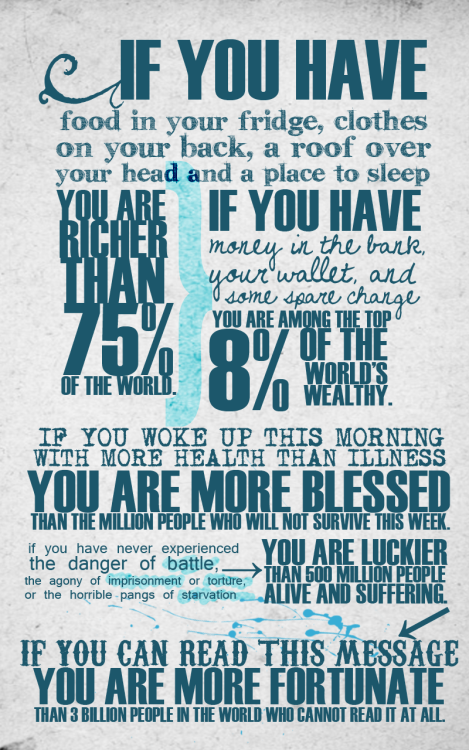 Perspective – I try to remember this thought – will this matter in 3 months or 3 years? Most of the time probably not. Give yourself some props for what you’ve already accomplished instead of beating yourself up for what you haven’t. This entry was posted in Health and Beauty and tagged exercize, perspective, stress, stress management on March 25, 2013 by Brenna.